You will always be able to find your own piece of paradise on our large expanse of golden palm-fringed beach. 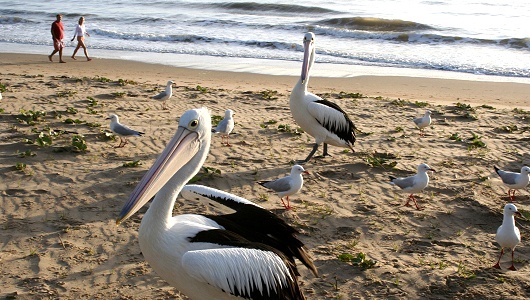 The main patrolled beach offers the protection of stinger nets in the summer season. 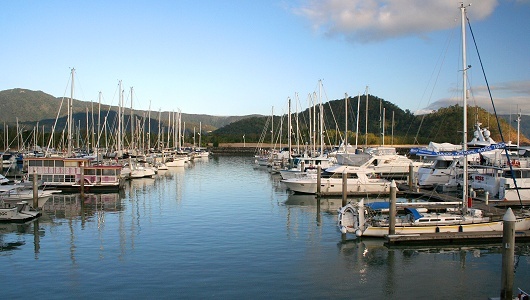 Swim, sail, wind-surf, snorkel or dive on the Great Barrier Reef, or visit the World Heritage Rain Forests and Cairns City - do it all while staying in YORKEYS KNOB. There are regular city bus services, courtesy tour pick ups, and local car rentals. 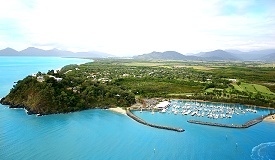 Nestled in the cove of Half Moon Bay is the Yorkeys Knob Boating Club serving bistro meals in an open air setting with expansive views of the marina and the ocean from the covered balcony, and a courtesy bus is available. 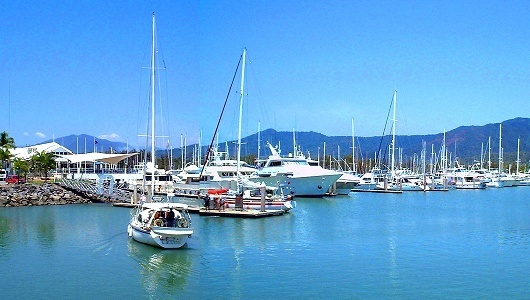 The Half Moon Bay Marina offers 200 sheltered berths for vessels to 30 metres. 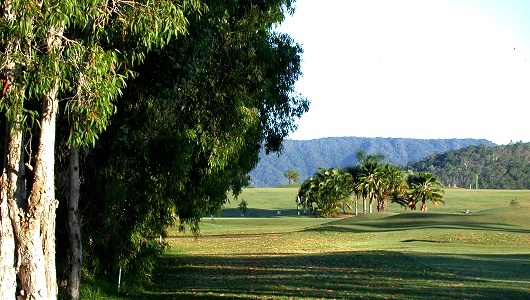 Visitors are welcome at one of the most popular golf courses in the Tropical North located at Yorkeys Knob. 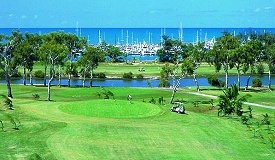 The picturesque 18 hole Half Moon Bay Golf Club overlooks the Boating Club and Marina providing magnificent views across the Coral Sea. 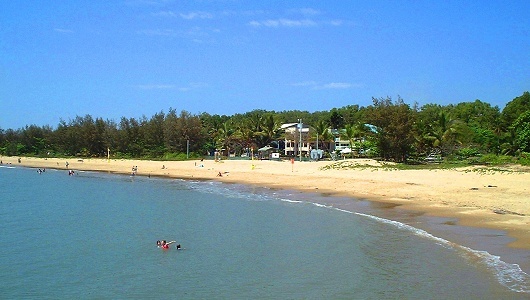 The beachfront at Yorkeys Knob beach is also a world-class kite-surfing destination (rated one of the top 10 in the world) and the prevailing SE trade winds from April to November makes Yorkeys the focal point of the local and national kite-surfing community. Talk to the boys at Kite Rite for more information. Yorkeys Knob is just 5 minutes to the main shopping centre of the northern beaches, Smithfield Shopping Centre, where there are over 60 speciality stores, medical centre, Coles, Woolworths, K-Mart, MacDonalds, Hungry Jacks, all the banks, and a large Bunnings hardware store. Smithfield also has an olympic size public swimming pool, Council Library, and the Marlin Coast Youth Recreational Centre. Choose from one of our a la carte restaurants and experience Al Fresco dining in the tropics, or relax at home and dial up fish & chips from Tasty Takeaway. 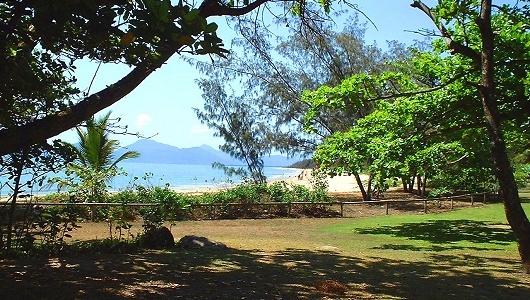 All tastes are catered for at this Cairns beach paradise. Travelling north from Cairns city, or Cairns Airport, continue across the Barron River bridge and through the Machans Beach and Holloways Beach roundabouts until you come to the clearly signposted Yorkeys Knob roundabout a few hundred metres south of Skyrail and Tjapukai. Turn right at the roundabout and continue for about 5kms. The main access road becomes Varley Street as it enters Yorkeys Knob. Continuing down Varley Street you will pass the shopping centre on your left about half way down, and then the left turn to the Golf Club at Wattle Street. At the very end of Varley Street either turn left to the Yacht Club and Marina, or turn right to the beach and the Sims Esplanade beachfront. Visitor information is available from the IGA Supermarket or the Post Office at the shopping centre, and from local accommodation houses. 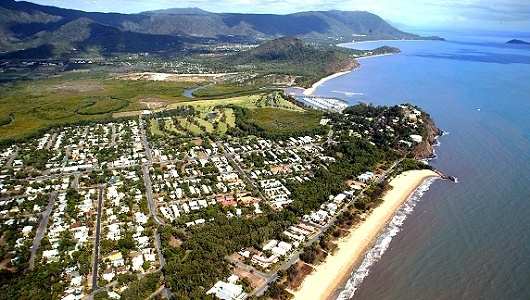 Visitors arriving at Cairns Airport have various transport options to get them to Yorkeys Knob including taxi, shuttle bus, hire car or limousine transfers. Please support our website sponsor, Fuglies Sunglasses - local Yorkeys Knob business, national brand. 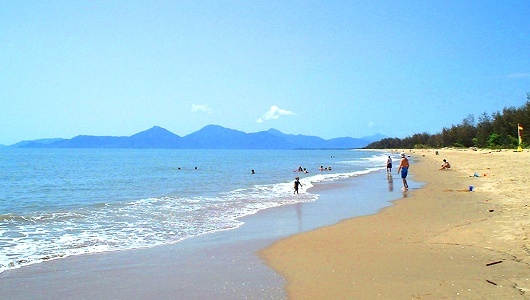 Named after a local fisherman called 'Yorkey' who lived on the rocky hill ('knob') adjacent to Half Moon Beach in the 1880's, the story of how Yorkeys Knob came to be is one that stirs the imagination. Click here for an extract from "The Knob, A History of Yorkeys Knob" by Mary T Williams, published in October 1986. The local businesses of Yorkeys Knob welcome you and hope you enjoy your stay. 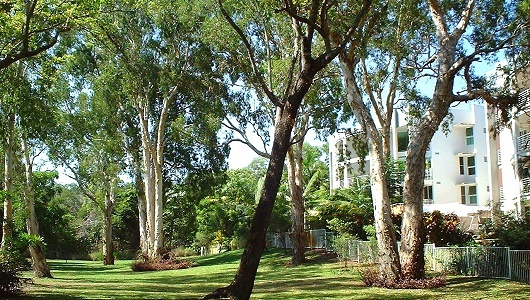 The Yorkeys Knob Community Centre Hall and Parklands in Wattle Street Yorkeys Knob. The fully air-conditioned plus ceiling fanned hall is available to hire at a moderate cost. Help support your local community centre. More info. The Yorkeys Knob Residents Association holds the annual Festival of the Knob on the June Queenâ€™s Birthday weekend each year as a fund raising exercise. This year the 14th annual Festival of the Knob will be on Saturday 16th June 2018 from 10:00am to 5:00pm. Held in the well-shaded grounds of the Community Centre in Wattle Street, the festival has live music, jumping castles, giant slides, wandering clowns and a special kids swing set up by the SES, plus historic displays and a great variety of stalls including food, arts and crafts, massage, plants, books and second hand clothes. The Yorkeys Knob Residents Association is a community networking forum that facilities discussion of matters of interest and concern to those living in the community of Yorkeys Knob, and keeping residents informed through its regular newsletter, Yorkeys Knob Matters. Monthly meetings on the last Tuesday of each month, are held at the Community Centre in Wattle Street. These are semi-formal meetings, and allow everyone to participate and ask questions, raise their concerns and fully contribute to the Association and community events. The next meeting will be held on Tue 30 Apr 2019 at 7:30pm. There is a $3 annual membership fee to become a member of the Association - please email residents@yorkeysknob.com or download a membership form. Click here for our Constitution.